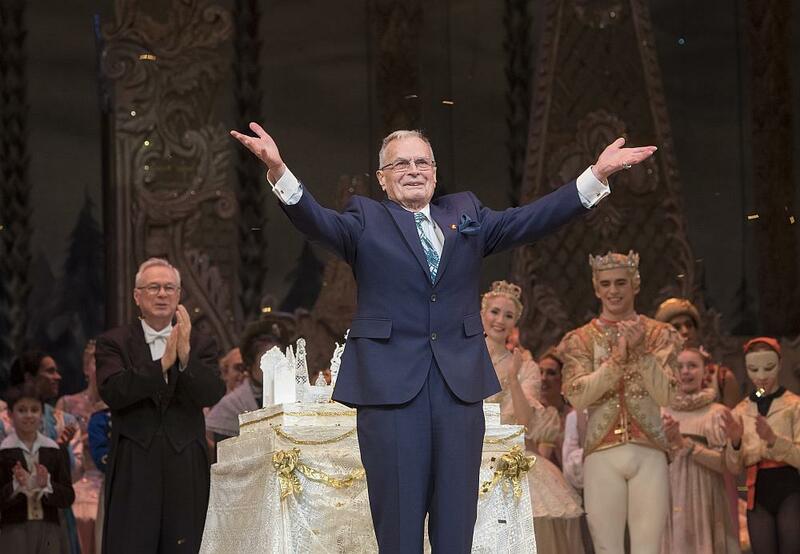 Last night The Royal Ballet dedicated the performance of The Nutcracker to its choreographer Sir Peter Wright who tomorrow, 25 November,celebrates his 90th birthday. His production of the Christmas favourite is the most performed production that the Company has in its repertoire. His other production for The Royal Ballet, Giselle, is another of the most popular works that the Company performs. Right then – Wright then? 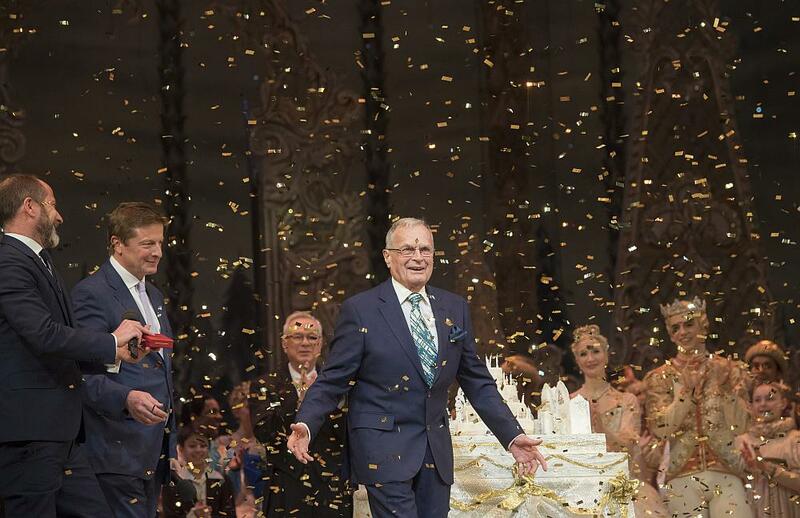 – that his 90th birthday should be celebrated on the stage of The Royal Opera House. 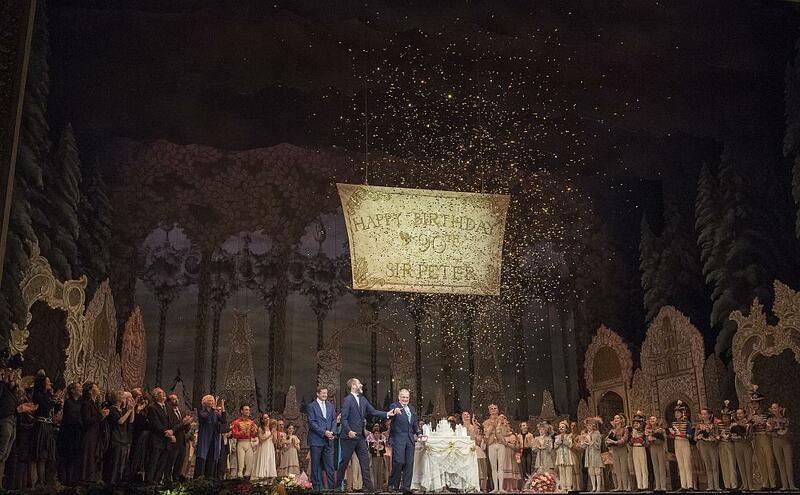 It was done in style after the performance with both a dropped in ‘Happy Birthday’ sign and an extravagant cake perfectly in keeping with the designs of the ballet. A sprightly Sir Peter looked delighted! Peter Wright made his debut as a dancer with Ballets Jooss during World War II. He created his first ballet, A Blue Rose, for Sadler’s Wells Theatre Ballet in 1957. In 1961 he joined John Cranko’s new Stuttgart company as Teacher and Ballet Master. In 1969 he joined The Royal Ballet as Associate to the Directors, later Associate Director. In 1977 he was appointed Director of Sadler’s Wells Royal Ballet, supervising the company’s transformation into Birmingham Royal Ballet in 1990. 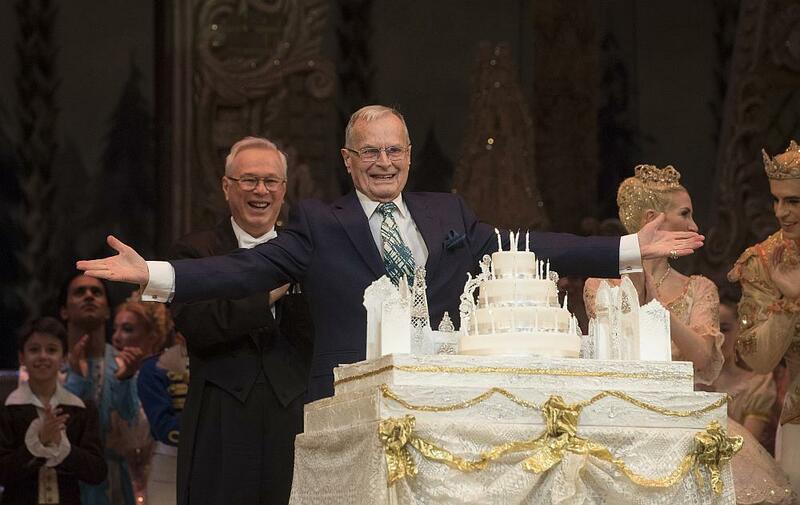 He had the title Director Laureate conferred on him by Princess Margaret on his retirement from the company in 1995. His autobiography Wrights & Wrongs: My Life in Dance was published in 2016. Brilliant posting, Graham! Many Thanks!